Well, you’d argue there’s still time to Thanksgiving and we’d tell you there isn’t. if you want a chaos-free, happy Thanksgiving, you need to start now. 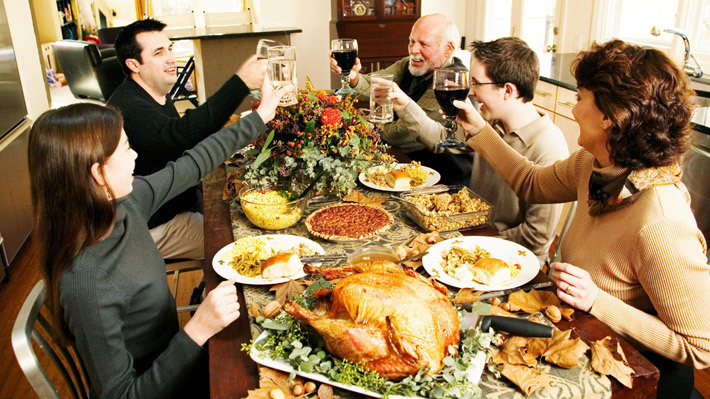 Here are some really helpful tips that will make your Thanksgiving dinner a breeze. Print an empty November calendar in which you’ll eventually mark shopping days, planning days, preparation days, chopping days, margination days and cooking days. Plan the menu. Prepare a list of ingredients. Check out all the things you have, and accordingly prepare your shopping list. Choose sides and dessert that can be prepared in advance. Just leave the bird for the D day. Your shopping list should be divided into sections like ‘NOW’, ‘LATER’ & ‘LAST’ which should contain items in the order of their shopping priority. For instance, party stuff can be bought earlier so that goes in the ‘NOW’ list but food items like turkey, meat etc. need to be bought in the last so they go in the list accordingly. Take prints of all the recipes and stick them on cabinets at eye level. Avoid the chaos of looking for selected recipes in the last minute. Clean the refrigerator. Take out everything. You will realize there’s actually stuff in there that need not be in the fridge. Take out all unopened cans, packs, jams and other things that can stay out for two days. You’ll need all the extra room in the refrigerator. Set the table the previous night. Use roasted garlic instead of fresh to get an even more awesome flavor. Turkey’s overcooked and dry – take it on a platter, drizzle it generously with warm chicken broth. Undercooked? Microwave on medium for 2-3 minutes (or higher if required). Use space around the house. Set separate stations for drinks, plates & cutlery, starters and also dessert if possible. This would just mean having a table that can have essentials kept together. This would also help you split up work and space for guests who compulsively must help.